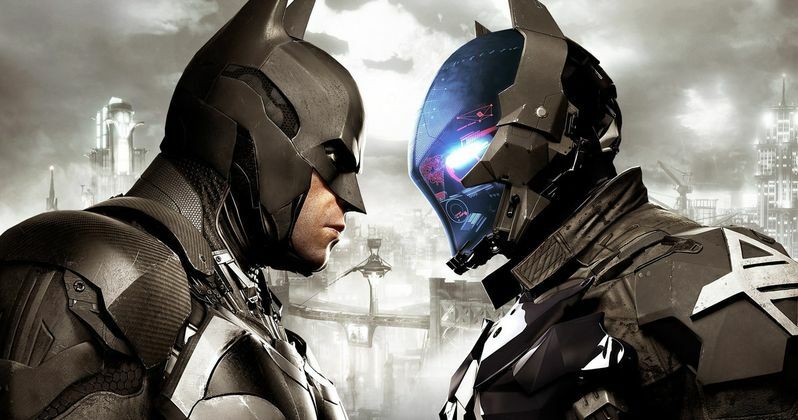 The Batman to Be Inspired by Arkham Video Game Series? The rumor mill is swirling again for The Batman, but for far less sinister reasons this time around. Last week The Batman director Matt Reeves revealed that the movie will have a pretty large Alfred Hitchcock influence, which in turn excited many fans who are ready to see Batman return to his detective roots. And now seemingly piggybacking off of that rumor comes a report from WeGotThisCovered claiming that The Batman may also be diving into Rocksteady Studios' popular and critically acclaimed Arkham video game series. Apparently, the plan is to keep the majority of Ben Affleck and Geoff Johns' original story in place with Chris Terrio putting his own personal touch on the screenplay. In addition, it is rumored that The Batman may take a cue from the original Arkham Asylum game by starting with a massive breakout at Arkham Asylum led by Deathstroke. Now, this does seem to fall in line with information that has been previously reported, especially how Deathstroke might fit into the movie and how the more detective elements of the game might influence The Batman, coinciding with Reeves' announcement that there is going to be a Hitchcock element to the upcoming movie. In the original Arkham Asylum video game, it is the Joker who orchestrates the breakout of the asylum, not Deathstroke, but Ben Affleck has mentioned in the past that he wants to dive into villains that have not yet been seen on the big screen and Deathstroke definitely fits into that description. Though when asked in January if he was still onboard to portray Deathstroke, Joe Manganiello replied that he didn't know anymore. It has also rumored that Josh Gad might step in to play the Penguin in the upcoming movie, but that would go against the other rumors that were just presented unless Deathstroke and Penguin team up after getting out of Arkham, which isn't that much of a stretch. The Batman is still, as far as we know, to be on schedule but nothing official has been announced in quite a while. The Getty recently interviewed Matt Reeves where he confirmed that Ben Affleck was still on board to portray the Dark Knight, which is comforting since Affleck's name was not attached when Warner Bros. made the official announcement that Reeves would take over as director. The Batman is still set to officially be released on October 5th, 2018.